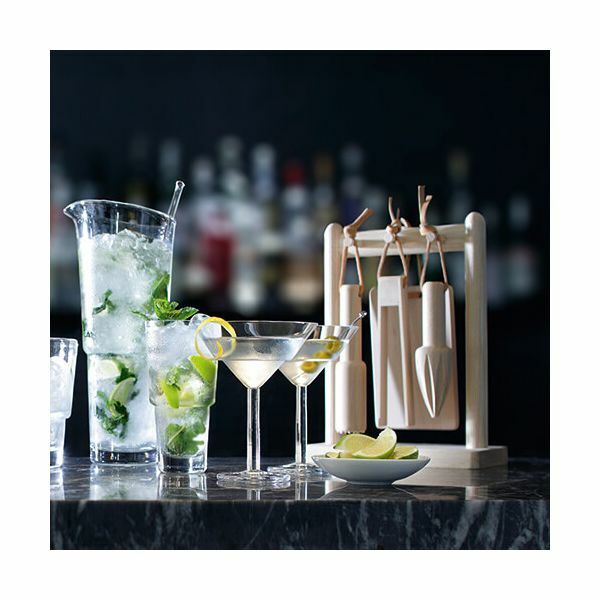 The LSA Mixologist Cocktail Tool Kit includes all the tools to help you make tasty and exotic cocktails and is the perfect addition to any home cocktail bar. 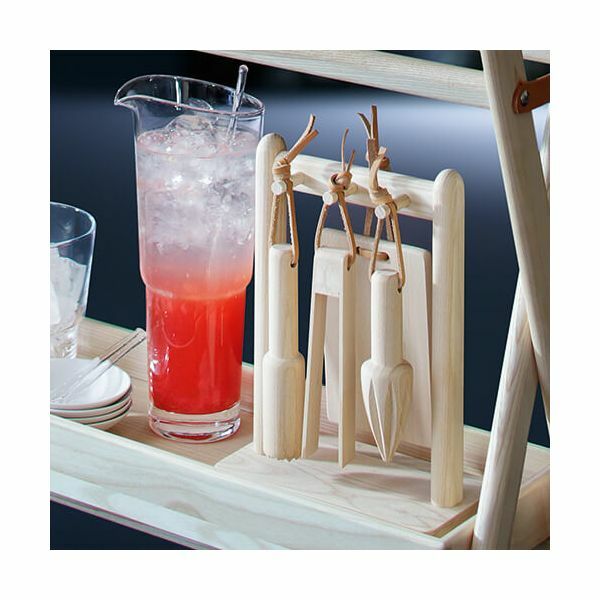 The Tool Kit includes a set of tongs for ice and fruit, a citrus reamer, a muddler and a miniature chopping board. 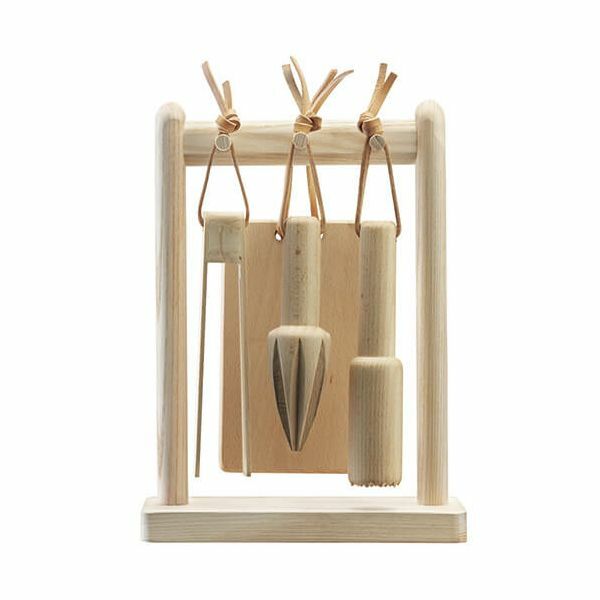 Each tool has a leather strap for hanging onto the contemporary wooden storage frame so they are always close to hand. A great gift idea for budding home mixologists. Height: 28.5cm x Width: 21cm.